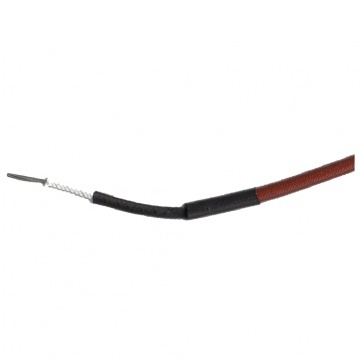 2 kW Ruby SK15 352 mm 14" infrared heater bulb, ideal for use has a replacement or spare for the Tansun Sorrento heater lamp bulb or as a replacement for many other wall mounted and freestanding heaters that use the SK15 fly lead wired connection. Volts: standard EU / UK 230V (220 – 240V). Infrared heat output: 2 kW ( 2000 Watt ). Type: extended life high tolerance. Fly lead wires length: 40 cm 16". Compatibility: Tansun Sorrento 4, 3 & 2 kW & many other heaters with wired connection. Other compatibility: Many 2 kW outdoor heaters. 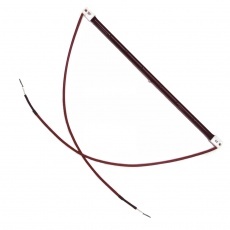 Length including ceramic: 352 mm (14 inch). Proven high quality long lasting element. At the ends of the bulb leads there is 1 cm exposed wire, this can be increased and the ends can be adjusted for easier installation in to the Sorrento heaters. 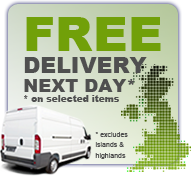 Order by 3 pm for same day dispatch, orders placed after this time or weekends are dispatched the next working day.